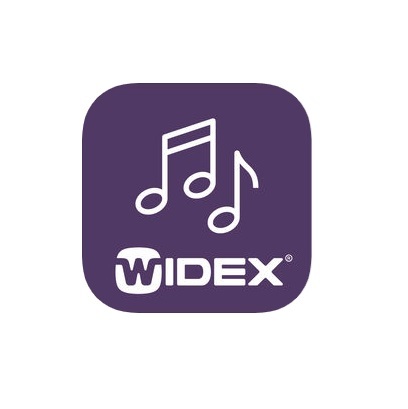 Released by Widex on October 14, 2015 the Widex Unique 220 Fusion falls under Widex`s standard technology level within the Unique Fusion family. 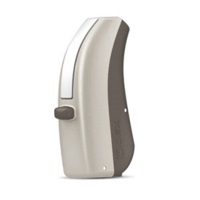 As standard technology, this hearing aid is one level above the most basic technology that Widex has to offer, making it a practical choice for individuals with quiet lifestyles, who primarily wish to hear better around the home, in one-on-one conversations, watching TV, and in mostly quiet and small group settings. 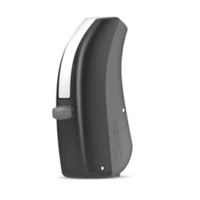 The Widex Unique 220 Fusion hearing aid has 6 channels and 3 customizable programs, and that gives it the flexibility to digitally process sound in a way that sounds natural, and can also be adapted to the particular listening environment of the wearer. 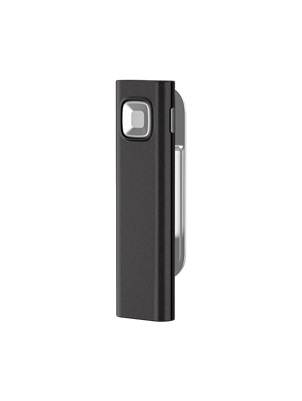 The Unique 220 Fusion is powered by a size 312 battery which will need to changed weekly. 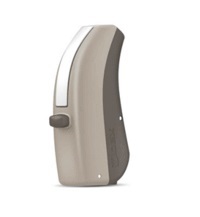 With a maximum potential gain of 74 SPL, the Unique 220 Fusion is suitable for individuals with mild to severe hearing loss. 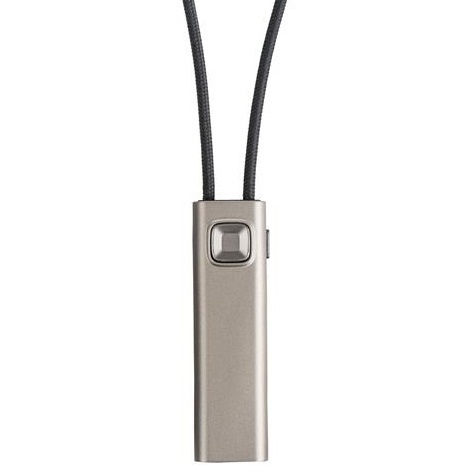 With its discreet RIC (receiver in canal) style, the Unique 220 Fusion sits comfortably behind the ear and is hardly noticeable to the wearer or others. This hearing aid is available in 14 color choices as shown below. 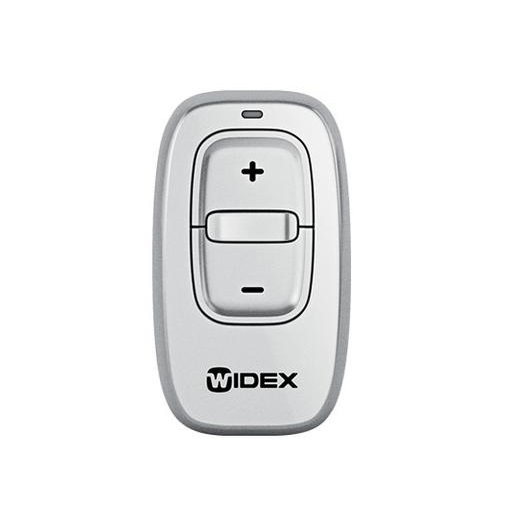 If you have questions about the Unique 220 Fusion that you don`t find answered on this page, or are looking for specs on this device, you might want to check out the downloadable documents (below), visit Widex`s website, or feel free to give us a call at 800-731-6794. 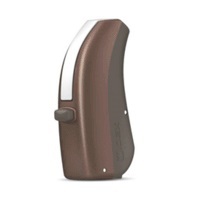 This hearing aid will come with a manufacturer's 2 year repair warranty and 1 year loss and damage warranty. 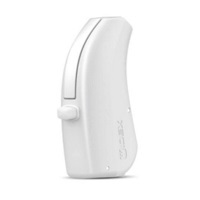 As one of the few authorized Widex retailers on the web, you can rest assured that no matter what happens to your hearing aids during this time period- you're covered with a full factory warranty. I was fitted with these two days ago so I am still getting used to them. I will tell you that I have lived with a moderate to profound loss of hearing all my life. These are the first hearing aids I have worn. I will tell you my impressions thus far. 2. In the house, I am able to lower the volume on the TV substantially and still hear it clearly. 3. They have multiple settings. Mine has a universal setting, telecoil, and transposition mode. I am still deciding which I prefer between the universal and the transposition. The telecoil would be used if on a standard phone or with a loop system in public places. 1. 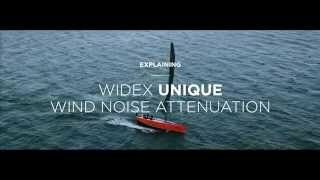 Background noise is unbearable and hard to separate from desired sound in noisy setting such as a restaurant. 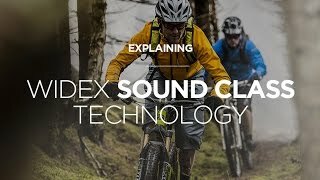 I am told that this is partly a matter of relearning to distinguish the sounds I wasn't hearing before. I don't quite believe this. The sound of water running in a sink, for example, sounds hissy and overpowering. 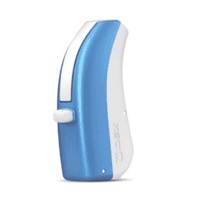 This being said I am sure that there IS a learning factor to the hearing aids. Overall I am still on the fence as to whether this is a good fit for me but as I said, I have lived without hearing aids for all my life up until now (54 years) so it IS a big adjustment for me. For those who have worn hearing aids in the past, I would guess that these would do you very well indeed! VERIFIED BUYER | Chandler, AZ	? I'm a first time hearing aid buyer, asian, male, ~30 years old. My hearing loss is about half mild and half moderate in both ears. I can hear fairly well, but have been noticing in recent years that I've begun missing more words, or would have to ask people to repeat themselves more often. Also have tinnitus, but that's been getting worse/ more noticable in the past few years as well. Went to get my ears checked, and they recommended hearing aids as a way to maintain speech recognition, with a possibility of helping the tinnitus. Being a first time buyer, I'm looking for the cheapest and most cost-effective option. The hearing center I originally went to recommended the basic Phonak hearing aids (I was told the medium step wouldn't have as much impact based on my needs, and I'm not ready to commit to the deluxe model). It did help to amplify the noise, but I felt everything might've been a bit too noisy. Was around $1100 per. Was told my hearing loss was nerve damage related (my ma does have some hearing loss, so some of it could be hereditary?) Went to a different location, tried Widex Unique 220 hearing aids, and did a slight upgrade up to get more channels (which should mean that it can adjust more frequency ranges, so it can be a better adjusted for your hearing if your level of hearing varies more per the different frequency ranges), and it improved the warranty on the hearing aids a bit, for about $1300 a piece. Both were I believe the BTE (behind the ear) model, where the receiver rests on top of the ear and the speaker has the wire/tube that goes into the ear. They fit pretty well and stay in position better than expected, though I have medium long hair which helps also keep it in place (and I imagine it'd shift pretty easily if I were to be active or try running around with them on). So far, I'm been pretty happy with these, the incoming sound does appear to be more balanced, and I am able to hear and catch what people say more often. I realize some of this might be due to the more expensive model, or perhaps the hearing aid itself happened to be better adjusted for my ears per the various hearing ranges. For both models, the tinnitus hasn't really gone down (unfortunately), but it seems I've been able to better ignore/block it out during the day. I primarily wear the hearing aids in short spurts, during work meetings, or if I know I'm going to be talking to someone who is more soft spoken. I sometimes listen to music at work with head phones, so I usually take out the hearing aids then, and some unintended negatives is my co-worker has allergies and can sniffle a lot, which I now hear and am distracted by more when the hearing aids are in. In this sense, it is also a bit unfortunate that hearing aids can't remotely be turned off (at least, not with my model, as the standard seems to be you have to open the battery cover to turn it off, and hence it can't be in your ear at the same time), so that I can just keep the hearing aid in the ear and use it 'on demand' or when someone comes to speak with me, but, maybe that will change in the future. Hearing aids are a pricey venture in general, but it works well and as intended so far, so from my limited experience, I'd say it's 4.5 - 5 stars so far. Have tried them for about a couple months now. Batteries seem to last 5-7 days. The low battery warning seems to come up early on mine, but they actually seem to last an hour or so beyond that message. Model: Widex Unique 220 Passion. I have had these for 3 months. First, I haven't heard this good in years. I'm a 50-something male w significant hearing loss in the higher ranges. I can hear my wife and the TV volume has come way down since getting the hearing aids. That by far overrides everything else I have to say, but I do think it's worth saying - as nobody shared this with me. 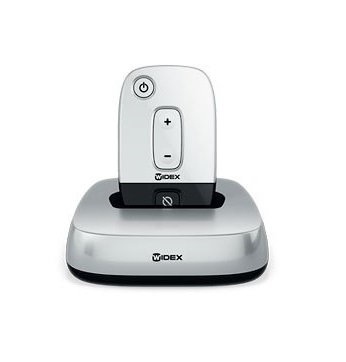 I am on the phone a lot and have a bluetooth Com-Dex that I wear around my neck for my iPhone. 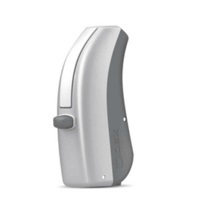 It's great for phone calls and listening to audio books, but now I see that there is (and has been) a Widex Unique hearing aid that automatically links to the iPhone (why didn't my audiologist even bring up that option???). My partner uses the Siemens that does not require an additional piece of equipment to access his phone. Other things take a bit of getting used to. I live in FL and that means the AC is on most of the time. IF the fan is on high, it is so loud that it really does override anything else including the radio. The ceiling fan in the bathroom does the same thing. I was told that the digital features would cancel that out - well they certainly do not for me and I find myself taking my aids out in these situations which can be a nuisance. The number 1 issue is I'm outside for extended periods of time every day. It's hot, and humid every day here in Florida. I sweat and my aids act up. I get popping & clicking noises. I will get a loud static/hissing sound that is coming from the aid, not the outside world - that will not go away. They have been sent back twice. I'm not sure what comes back, but they work again for a while. The audiologist provided me with a small dehumidifier to put them in at night to dry them out. That's great, but just a few hours outside and they are acting up again. 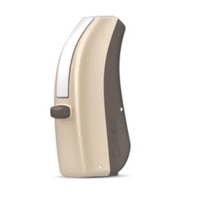 I can't "not" wear my hearing aids outside and I'm coming to the realization that regardless of what my audiologist says - this is going to be "the issue" with these hearing aids and if I truly want trouble free I may have to look for another model or brand.